Sept. 15- Oct. 15 is the national observance of Hispanic Heritage Month. Permanently put into law by President Ronald Reagan in 1988, the 30-day period recognizes the culture and contributions of American citizens of Hispanic origins coming from Spain, Mexico, the Caribbean and Central, and South America. The Department of Defense has always worked to lead the way for progress because diversity is America's greatest strength. They hope for everyone to equally be able to maximize their talents for the highly-trained force. The declaration of department-wide observances such as Hispanic Heritage Month demonstrates that desire. We, as Army Soldiers, Families, veterans, and civilians need to take this opportunity not only to inform us, but to remind us of the heroism and accomplishments of Hispanic service members, but to realize there is still more progress to be made. We need to ask ourselves what more can be done to utilize this strength. 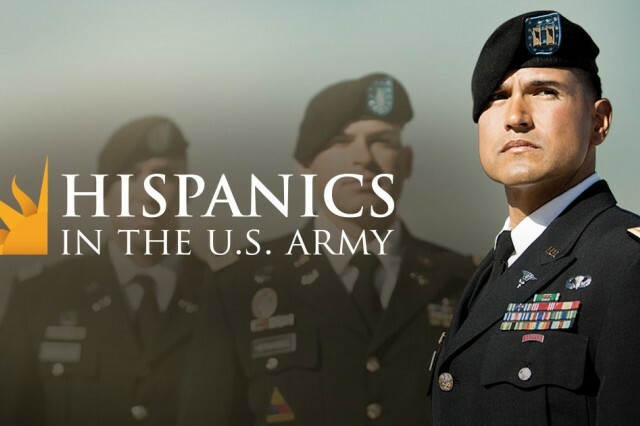 Hispanics have been serving in the U.S. Army since the Civil War. From the Spanish-American War through both world wars, Korea, and Vietnam, the Soldiers with Hispanic heritage have served the U.S. honorably even in the face of negative stereotypes and doubts about their abilities to serve in combat. Pvt. Marcelino Serna was an immigrant from Mexico who moved to El Paso, Texas, during World War I. Serena volunteered to join the Army and declined to be discharged when it came to light that he was not a U.S. citizen. He then went off to war in France. On Sept. 12, 1918, he followed a German sniper into a trench killing 26 and capturing 24 enemy soldiers single handedly. He became the first Hispanic to be awarded the Distinguished Service Cross and became the most decorated veteran in Texas. The 65th Infantry Regiment, a unit comprised of primarily Hispanics from Puerto Rico, had already had decorated Soldiers -- Two Silver Stars, 22 Bronze Stars, and 90 purple hearts -- from their service in World War II. Even after integration of units in 1948, the unit stayed primarily Hispanic and Spanish-speaking going into the Korean War. The Hispanic Soldiers were ready to serve and try to continue to prove their combat worthiness, which they did as a part of Operation PORTEX -- the largest military exercise at that time. The Soldiers showed that they could hold their own. It was a monumental policy change in the U.S. military's racial policy when they became attached to the 3rd Infantry Division going into Korea. In 1951 Gen. Douglas MacArthur said of the 65th Regiment, "The Puerto Ricans forming the ranks of the gallant 65th Infantry give daily proof on the battlefields of Korea of their courage, determination and resolute will to victory, their invincible loyalty to the United States and their fervent devotion to those immutable principles of human relations which the Americans of the Continent and of Puerto Rico have in common. They are writing a brilliant record of heroism in battle, and I am indeed proud to have them under my command. I wish that we could count on many more like them." Spanning the decades of war, 60 men of Hispanic Heritage have received the Medal of Honor. Seventeen of those were handed out by President Barack Obama in a presentation in March 2014, after the National Defense Authorization Act called for a review of Jewish American and Hispanic-American veterans from World War II, Korean, and the Vietnam wars to ensure that no prejudice was shown to those who did go above and beyond the call of duty in action against the enemy. Among them was Master Sgt. Jose Rodela, who commanded his company in 18 hours of combat in Phuoc Long Province, Vietnam, and continuously exposed himself to enemy fire to eliminate an enemy rocket position and help his fallen Soldiers. Today, 136,000 Hispanic Soldiers make up 13.8 percent of America's fighting force. Since the beginning of the 2000s, they have been the boots on the ground in antiterrorism operations. They uphold Army values while working alongside others. However, the fight is not over, and the Army can still move toward a more inclusive environment. Hispanics make up 17 percent of enlisted, active duty service members which reflects the 17 percent of the overall U.S. population. 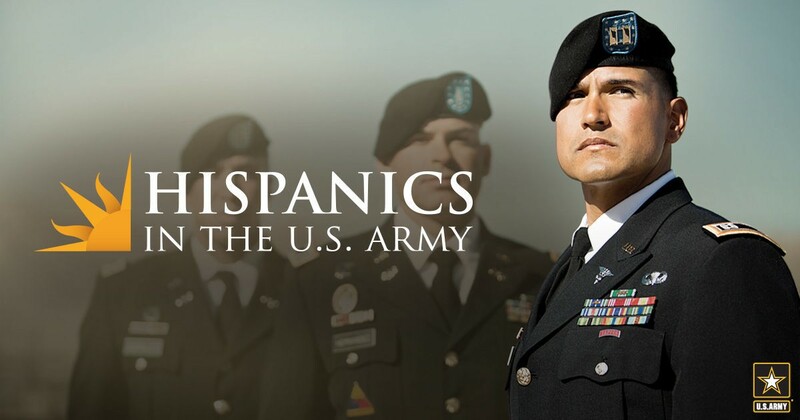 However, according to statistics from the Office of Army Demographics, only 7 percent of commissioned officers were Hispanic in the fiscal year 2016. A study from the Casaba Group, a Hispanic veteran's organization, stated that of active duty Latino officers, 15 were generals and admirals. While other minority groups have moved forward with the military, there is still a gap for Hispanics. It is imperative that everyone a part of the DOD works toward closing that gap for Hispanics, so our leadership will be representative of what the U.S. looks like today because it does not matter if they trace back their heritage from Spain, Mexico, or any other Spanish speaking country, Hispanics, like Serena, the men of the 65th, and Rodela, formed a legacy of Hispanics making sacrifices for this country, and we all need to play a role in carrying it on. Pentagram Staff Writer Abigail Kelly can be reached at akelly@dcmilitary.com.